After arriving at Dimapur airport, you will get an assisted transfer to your pre-booked hotel. Complete the check-in formalities at your pre-booked hotel. The day is free for leisure activities. You can explore the surroundings on foot. Stay overnight. The second day of the tour after breakfast is for exploring the ruins of the kingdom of Ahoms that dates back to the 13th century. These remains are a proof that the kingdom was a culturally rich one. After lunch, take a13- km drive to the Diezephe Craft Village where you will see craftsmen indulged in wood carving and weaving. Stay overnight. 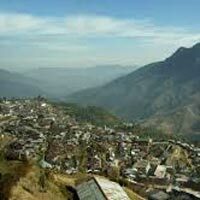 Have your breakfast and begin driving towards Kohima, the capital of Nagaland. On arrival, check into your hotel. Have lunch and venture out of your room to visit Kohima War Centenary (Closed on Sundays), which has been constructed in the memory of soldiers who were killed during the Second World War. It was built by the Japanese force who had invaded the place. Stay overnight. Today, you are going to hit the road to go to Khonoma village, a well-known historical village. This is the last base for the Angami Nagas, rebellions who fought a battle against the British, who were advancing to the Naga hills in the year 1879. The afternoon is fixed for visiting the State museum where you will get a sneak-peak into the tribal lifestyle and culture of the Nagas. Overnight stay. 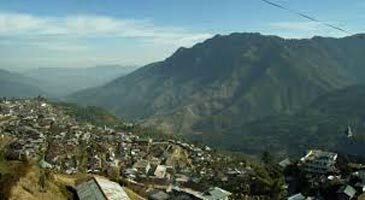 On the 5th day of the tour, you will hit the road to go to Mokokchung, the land of Ao Naga tribe. On the way, you are going to explore the Lotha tribal village; the people of this tribe are very well-known for their folk songs and colorful dances. On arrival, check-into the Circuit house or your hotel. Later, explore the village and observe the lifestyle of Ao Naga people who are mainly dependent on agriculture but very rich in their folk literature. Stay overnight. On the 6th day, have your breakfast and drive towards Tuensang. On the way, you are going to halt at Longma and Lungso villages that are inhabited by the people of Ao Naga tribes. Observe the lifestyle of the tribal people here. Stay overnight in your pre-booked circuit house. Today, you are going to explore the villages inhabited by Naga tribal people. This area is mainly inhabited by 5 major tribes- Chang, Khiamniungan, Sangtam, Yimchunger, Phom and a part of Sumi village. Along with this, there are certain other tribes too. Stay overnight. On the 9th day of your tour, once you will have your breakfast, you are going to begin driving towards Mon. On the way, you are going to visit the village, which are inhabited by the people of Konyak tribes, which were famous as former head hunters. You will be able to spot tattooed tribal people clad in loincloths. On arrival, complete the check-in formalities at the Circuit house. Entire day 9 is for a day-trip around the Mon area. Today, you will explore the Longwa village, is one of the biggest village of the district. This village is on the Indo-Myanmar border. Do not forget to visit the legendary twin tree. Overnight in the Circuit House. Post breakfast, begin driving towards Dibrugarh. On arrival, check-into your pre-booked hotel. The day is free for leisure activities. The major attraction is the tea gardens, where you can roam around. The other visits can be Koli Aai Thaan, Dehing Satra etc. Stay overnight. Today, once you will have your breakfast, get an on-time transfer to the airport for your onward journey.